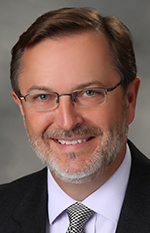 LANSING — The Michigan Economic Development Corp. has named Dave Lorenz as vice president of Travel Michigan. Lorenz has been serving as acting vice president since June. Lorenz has served for more than a decade as the industry relations and international marketing manager for Travel Michigan and has been responsible for Travel Michigan’s efforts in the areas of international marketing, packaged travel, conventions and meetings, industry relations, and sports-event promotion. His responsibilities will now also include heading up the state’s tourism branding and marketing efforts through the award-winning Pure Michigan tourism campaign as well as coordinating overall efforts of the Travel Michigan organization. Prior to coming to Travel Michigan in October 2002, Lorenz was the manager for Meijer, Inc. where he was responsible for the facilitation of collaborative marketing programs with key consumer goods manufacturers. Lorenz, of Norton Shores, attended Western Michigan University.